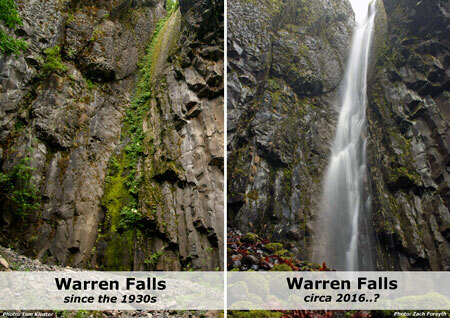 While tracking down the human history behind the mysterious (and temporarily defunct) falls on Warren Creek in the Columbia River Gorge over the past year, I was surprised to learn that “Warren” is not the surname of a local homesteader or early explorer. 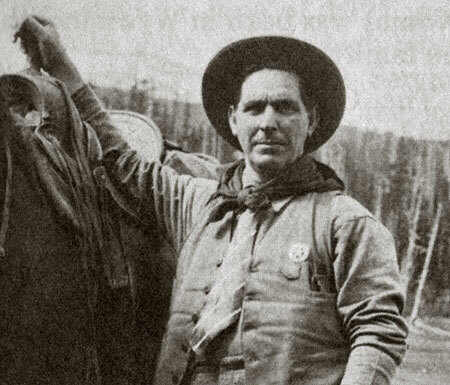 Instead, it is the first name of an early Forest Service ranger, Warren “Barney” Cooper, whose own surname puts him among Mount Hood’s pioneering royalty: the remarkable Coopers of the Hood River Valley. Barney Cooper was part of a pioneer family that figures prominently in the history of the Hood River Valley. His father, David Rose Cooper, uprooted from Aberdeenshire, Scotland in 1872 (where the Cooper family had lived for more than 300 years), and moved his wife Marian and their children to settle in America. After a trek across the country, David and Marion Cooper originally settled near Roseburg, in Southern Oregon. Here, they gave birth to several children, including Warren. 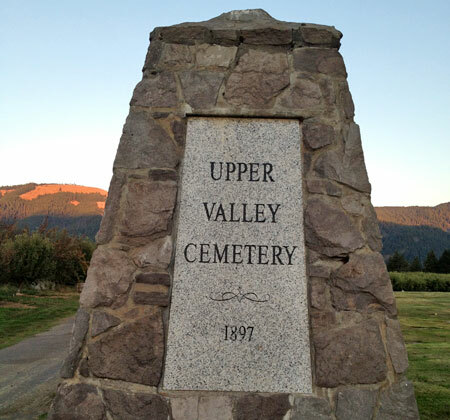 In 1882, the Coopers moved again to become some of the first white settlers in the upper Hood River Valley. David Rose Cooper was captivated by Mount Hood, and the idea of building a road to the foot of its enormous north side glaciers. In 1884, he teamed up with two local settlers, Henry Coe and Oscar Stranahan, to form the Mount Hood Trail and Wagon Company. Under this venture, they built a trail to the mountain, completing work in 1886. The trail was quickly expanded to become a rough wagon road, and in 1888 opened as a 12-mile toll route. The new road led adventurers to the rocky crest on the shoulder of the mountain where the historic Cloud Cap Inn still stands today. The legacy of these early pioneers lives on in our place names. 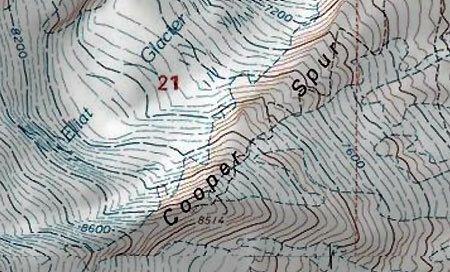 A well-known Mount Hood adventurer from Portland, Dr. Thomas Lamb Eliot, spent time exploring the mountain with the men who built the first road, and named several prominent landmarks on the mountain in their honor: Cooper Spur for David Rose Cooper, Coe Glacier for Henry Coe and Stranahan Ridge and Falls for Oscar Stranahan. 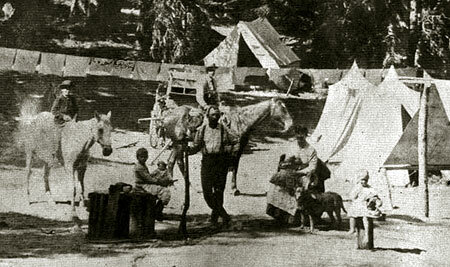 With the new road in place, David Rose Cooper opened a “tent hotel” near today’s Tilly Jane camp in 1888, offering guide services where he led guests across the high country on Mount Hood’s northeast slopes. Marian Cooper and the couple’s younger children all helped in the tent hotel operation, including Warren Cooper, who was just 12 years old at the time. The oldest Cooper children stayed behind, tending the family farm in the valley below. The modest tent hotel was short-lived. In 1889, a group of Portland investors had begun work on the Cloud Cap Inn, and purchased the Cooper toll road as part of forming a new Mount Hood Stage Company. The new lodge opened in August 1889, ushering in a new era of tourism on the mountain that continues to this day. The seed that started it all was the Cooper family’s tent hotel. Warren McCalley “Barney” Cooper was born in 1876 in the town of Wilbur, where the Cooper family first settled in Southern Oregon. Time spent on the slopes of Mount Hood after the family moved to the Hood River Valley had a lasting impression on Barney. During the 1890s, he became a forest ranger for the Cascade Forest Preserve, the huge federal holding that preceded formation of the U.S. Forest Service. 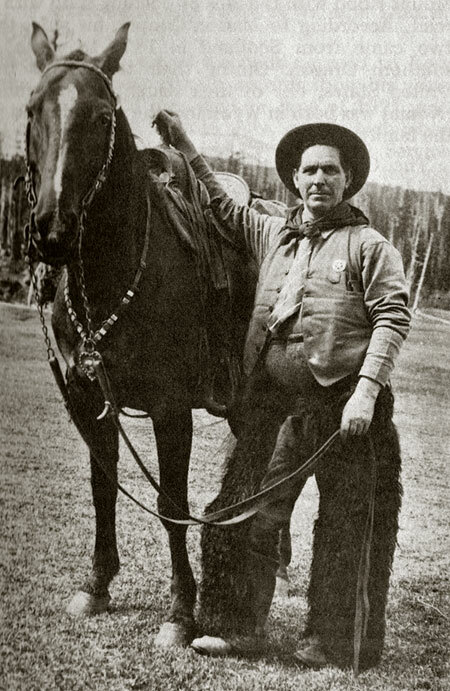 Barney Cooper eventually served as the first district ranger for the Hood River Ranger District with the creation of the U.S. Forest Service in 1905. He served in this capacity for 15 years. 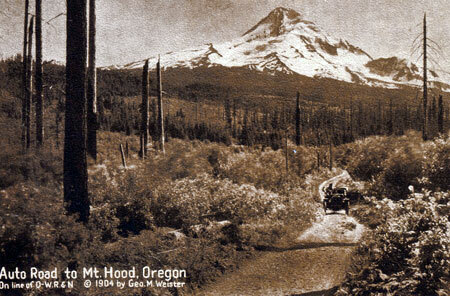 During his tenure, the Mount Hood portion of the Cascade Forest Reserve was be set apart in 1908 to become the Oregon National Forest (and was later renamed the Mount Hood National Forest, in 1924). There was no ranger station at the time, so Barney conducted Hood River Ranger District operations from his home near Parkdale. Duties were initially focused on protecting the forest from timber thieves and squatters, but soon shifted toward fire prevention. 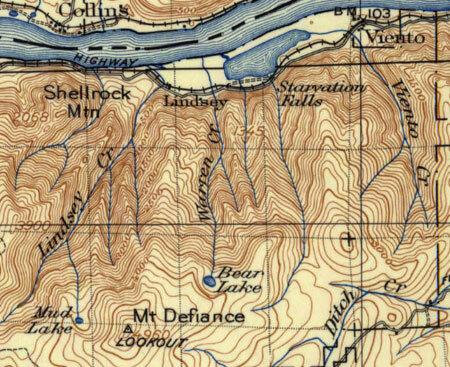 During this formative era, many of the familiar names we know in the Mount Hood area were placed on early maps by the first forest rangers, and many of the trails and roads we still use were planned and built. In 1915, Barney led an expedition of state officials on a preliminary survey of the Mount Hood Loop Highway. Sam Lancaster’s Columbia River Highway was nearing completion in the Gorge, and there was great interest in completing a loop around the mountain. Barney led the group up Cold Spring Creek to Elk Meadows, then down to Hood River Meadows, bypassing the steep East Fork canyon — though the highway would eventually follow the more rugged canyon route. When Barney Cooper was 28 years old, he married Catherine Elizabeth “Kate” Gribble, who had just turned 25 years old. They were wed on December 28, 1904 in Wasco County, east of Hood River. 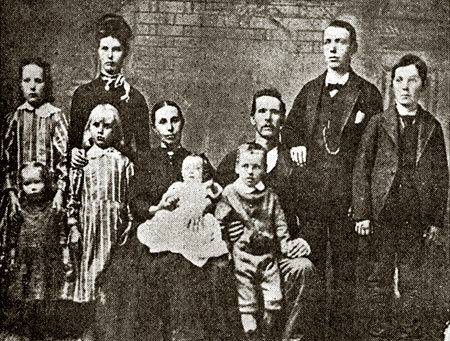 In 1907, Barney and Kate lost their first child at birth, a daughter. In 1913, they gave birth to a second child, Wilbur David Cooper, who would live to be 97 years old. He died only recently, on October 28, 2010 in El Cerrito, California. Sadly, both Barney and Kate died in 1920, leaving young Wilbur Cooper an orphan at the age of seven. He was raised by the extended Cooper family living in the Hood River Valley. Barney Cooper’s cause of death is listed as “sleeping sickness”, which might seem odd today, given our familiarity with the tropical version of “sleeping sickness”. But from 1916 to 1926, another form of sleeping sickness — encephalitis lethargica — swept the globe in a widespread epidemic. Barney Cooper died in Portland on February 18, 1920. 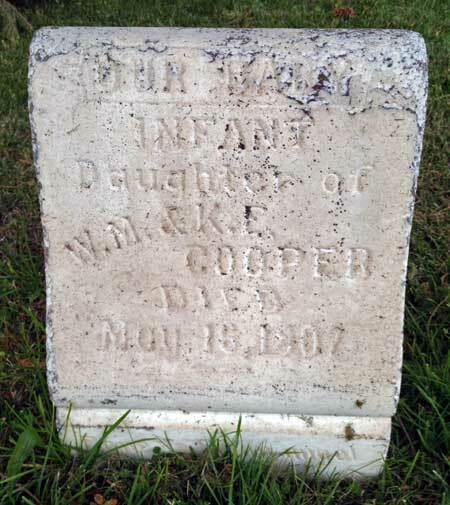 Kate Cooper died just a week before Barney, on February 11, 1920. Kate died of “consumption”, or what we know today to be tuberculosis. Kate also died in Portland. There’s no known history on the sequence of events that sent both Kate and Barney into a Portland hospital at the same time, but it must have been devastating for the extended Cooper family. They were in the prime of their lives, as Kate was just 41, and Barney 44 years old. 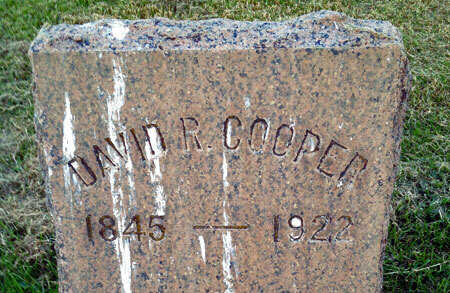 David Rose Cooper died shortly thereafter, in 1922, at the age of 77. 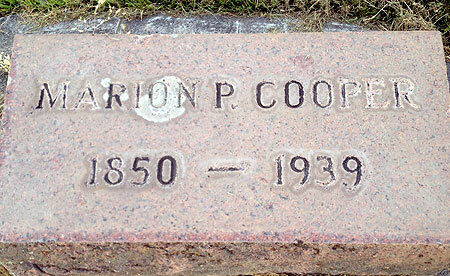 Marion Cooper lived on for several years in the family homestead near Parkdale. She died at age of 89 in 1939, having experienced an amazing span of history during the course of her long life. After researching the remarkable Cooper family history, I made a trip to the Upper Valley Cemetery near Parkdale a few weeks ago to visit the family’s gravesites. This quiet little cemetery is modest and unassuming, appropriately nestled between working apple orchards on all sides. David Rose Cooper’s gravesite is located in the open center of the cemetery, and Marion Cooper’s grave is just a few feet away. Standing by their grave markers, Mount Hood rises to the south, and Bald Butte fills the skyline to the east. Barney and Kate Cooper were laid to rest along the west edge of the cemetery, beneath the canopy of a huge Douglas fir and Port Orford cedar. 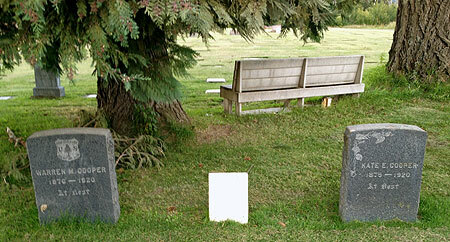 A wood bench is located nearby, between the trees, facing the main part of the cemetery. Barney’s grave marker is engraved with the U.S. Forest Service emblem – a forest ranger forever! Kate’s marker is a few feet away, and adorned with what seems to be a morning glory vine — her favorite flower, perhaps? Between Barney and Kate lies their infant daughter, the first to be buried here in their shady family plot. Before he died at the age of 97 in 2010, Wilbur Cooper had survived his wife of 73 years, Juanita, and one of their twin daughters, Leslie. According to published accounts, he is survived by his daughters Rosemarie and Carrolyn, son-in-law Jon, four grandchildren and two great-grandchildren. My hope is to somehow contact his surviving family so that they might learn about my efforts to restore Warren Falls on Warren Creek — places named for a grandfather they never met. This effort is complicated by the fact that Wilbur Cooper had no sons, and thus the Cooper surname may not have carried forward in his branch of the family. A fitting tribute to Barney Cooper? Learning a bit more about Warren “Barney” Cooper in researching this article further inspires me in restoring Warren Falls. 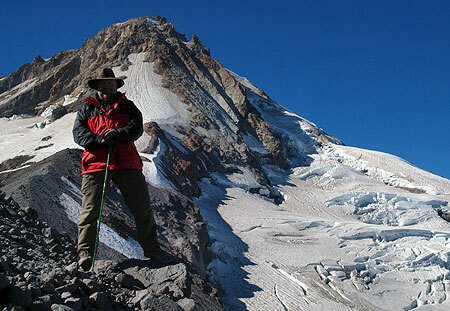 It would be a fitting tribute to his contributions as one of Mount Hood’s first rangers. 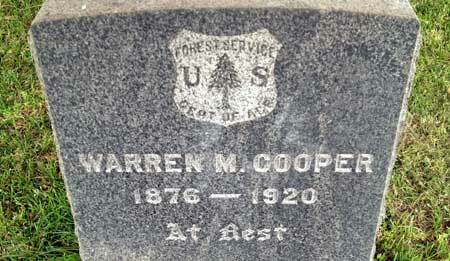 I’m also hopeful his surviving descendents might be able to shed more light on Warren Falls and Warren Creek — and on Barney Coopers life in the woods. If you know someone in the Cooper family who might be able to help me in that effort, please forward this article to them. As always, Jack Grauer’s “Complete History of Mount Hood” (first edition) was invaluable in putting this article together.